Medical massage protocols are priceless tools to the practitioner when dealing with various somatic abnormalities. These protocols produce quick and stable clinical results when executed correctly. However, an equally important feature of medical massage is its impact on the practitioner’s professional expertise. A case submitted by Karen Pasquini, LMT caught our attention for the above-stated reasons. As you will see below, Karen employed simple tests and was able, during the first session, to accurately isolate the client’s problem and to address it using the correct combination of medical massage protocols. The client was a 32-year-old female. She worked as a patient coordinator in the local surgical center. The client had a sensation of tightness and a loss of mobility in her right shoulder joint, as well as numbness in her right upper arm. She had a restriction of range of motion in her right shoulder joint, especially with respect to abduction. The client reported that she was unable to extend her arm behind her head. Initially, for several weeks she felt tingling in the area of the deltoid muscle, and these sensations more recently progressed to numbness. Client had this condition for three months. Before seeing me, the client tried to relieve her symptoms turning various types of massage, stretching and pain medications. During the initial evaluation, I found tightness in all portions of the deltoid muscle with an active trigger points in each portion. The client exhibited a lesser degree of sensation in the right upper shoulder (compared to the left one) when the skin was simultaneously stroked on both sides. Also, the patient had weak abduction in the right shoulder, which was especially noticeable when she elevated her arm to 90 degrees abduction. [Editor’s note: As is well known, active abduction at the shoulder starts with an initial pull by the supraspinatus muscle; the deltoid muscle engages later, when the abduction at the shoulder joint reaches 90 degrees.] Based on a combination of evaluation of the trigger points and of ROM, I was sure that the client had Deltoid Muscle Syndrome. However there was another problem. The patient complained about numbness in the area of the upper arm, which is classically a sign of axillary nerve entrapment. I examined all three areas where the axillary nerve could be subject to pressure: the posterior cervical muscles, the anterior scalene muscle and the pectoralis minor muscle and the compression test was negative in all of them. Thus, the only reasonable explanation remaining was irritation of the axillary nerve by the deltoid muscle itself. Considering all this information, I assumed that the client had Deltoid Muscle Syndrome, and, as a complication, irritation of the axillary nerve or Axillary Nerve Neuralgia. I used the Medical Massage Protocol for Deltoid Muscle Syndrome with the addition of the treatment for Axillary Nerve Neuralgia. I worked on the client for 45 minutes using the same protocols during each session. I started with her prone (face down) and did effleurage and kneading over both shoulders and neck. I did longitudinal and cross-fiber friction at the occipital ridge, the spinous processes of the cervical and upper thoracic vertebrae, and at the scapula. I concentrated around the spinous processes of the C5 and C6 cervical vertebrae, being the origin of the innervation of the deltoid muscle and axillary nerve. I used Sherbak’s friction as well as permanent, fixed vibration there. Next, I started to work on the deltoid muscle itself. I used friction along and across the fibers of the posterior portion of the deltoid along the scapula. For the next part I asked the client to change position to supine (face up). From this position I did friction along and across the insertion of the deltoid muscle into the humerus. I did friction along the middle portion of the deltoid under the acromio-clavicular joint, and along the anterior portion of the lateral third of the clavicle. I also included friction on the anterior edge of the deltoid on the border of the pectoralis major. And, of course, I worked with kneading in the inhibitory regime and friction along the bellies of the anterior, middle and posterior portions of the deltoid. Also, to address the pathway of the axillary nerve, I worked on the anterior shoulder, in the area medial to the anterior portion of the deltoid, as well as in the axillary pit. I would finish the session using trigger point therapy on each active trigger point in the deltoid muscle, combined with Postisometric Muscle Relaxation conducted separately on each portion of the deltoid. The results were truly miraculous! Only three sessions were required to completely eliminate all symptoms. Even as of the first treatment, the numbness subsided and was replaced with tingling in the same area. This was the first encouraging sign that the axillary nerve was under less pressure. By the third treatment, the numbness and tingling were gone and ROM and muscle strength were completely restored! I regularly give this client massages and she is still pain-free in the shoulder for now almost one-and-a-half years! 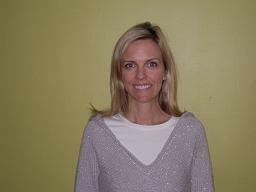 Karen Pasquini, HHP/LMT has been a massage therapist for 18 years. She specializes in Medical Massage, Lymph Drainage and Pain Reflex Release. Karen received her lymphatic training in Austria and the U.S. She has worked with cancer patients at The Immune Institute in Huntington Beach and now has a private practice focused on pain relief in Calabasas, California.